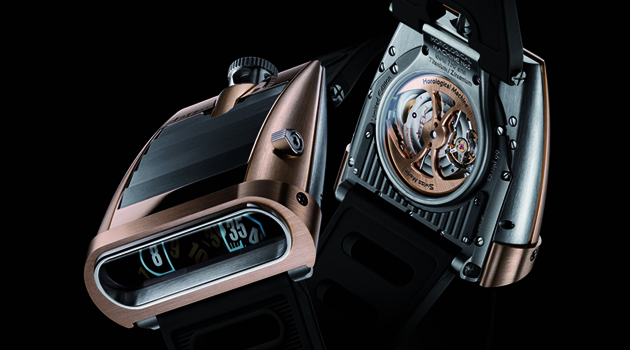 If any diver’s chronograph can be naturally in tune with the times, this one can. The Pontos S is perfect for short dives with a modern style that perfectly combines form and function. A design that blends mechanical expertise with contemporary style: accessible yet crafted down to the last detail. 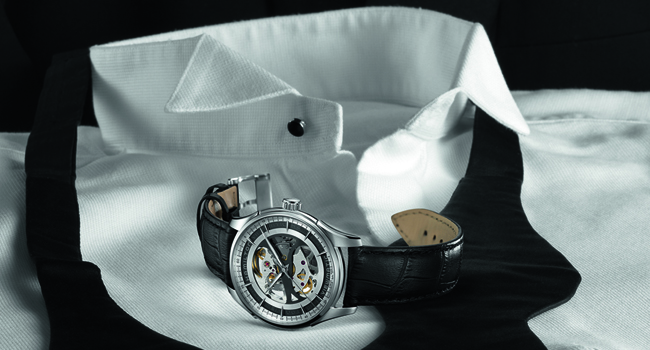 This timepiece will surely speak to a generation that sees everyday living as an art. Resolutely sporty, the character of the Pontos S is clearly inspired by the world of sport, from the tautness of its silhouette to the determination of its face. The dynamic strap is a perfect match for the case. 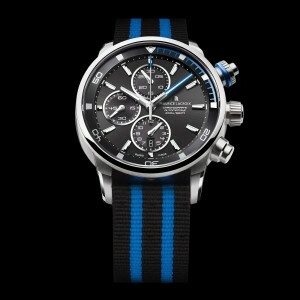 The all-steel version sports a NATO strap whose contrasting sleek design encapsulates the collection’s sporting spirit. Comfortable and hypoallergenic, especially in wet conditions, the nylon strap demonstrates exceptional strength. This no doubt explains its extreme popularity with athletes, divers and astronauts, who can easily adjust it according to the thickness of their gear. The 43 mm diameter stainless steel case is water resistant to 200 meters. 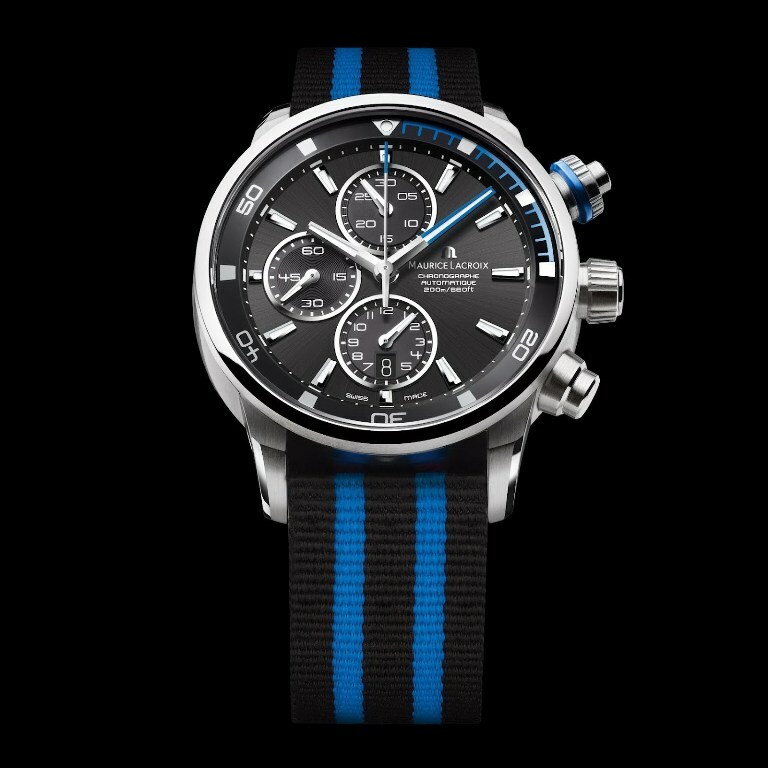 It features a winding crown and two pushpieces shaped to ensure a better grip, accentuating the chronograph’s strong character. The bezel ring is inside, in an original contrast to usual practice. Besides its artistic merits and enhanced sense of finesse and purity, this design – the subject of a patent application – enables maximum wear. 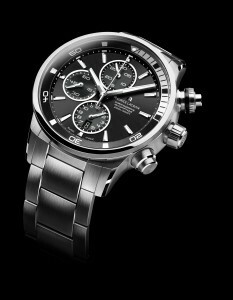 The chronograph counters on the dial fit together in a beautiful balancing act, without seeking originality at all costs. Its legibility is perfect. Available in a range of colors, the Pontos S is mechanized by the self–winding Valjoux 7750 movement, which boasts a long pedigree in terms of performance and accuracy. The Pontos S will unquestionably appeal to sports and diving enthusiasts or simply to those in love with an era that has turned elegance and sportsmanship into a way of life.